Get that natural, sun-kissed glow all year round with Green People’s Gradual Tan Moisturiser. Used daily, this will build your tan up on your face and body and getting the type of look you desire. This product is high in prebiotics, antioxidants and Omega fatty acids and contains Organic Rosehip, Green Tea & Prebiotics. This gradual tan has the natural scents of Mandarin, Orange and Ho Wood and none of that ‘fake tan’ smell. It is suitable for all skin types too, even sensitive or acne-prone skin. Green People don’t use parabens, lanolin, alcohol (ethyl alcohol, ethanol), artificial perfumes, methylisothiazolinone, methylchloroisothiazolinone, petrochemicals, phthalates and colourants in this product. 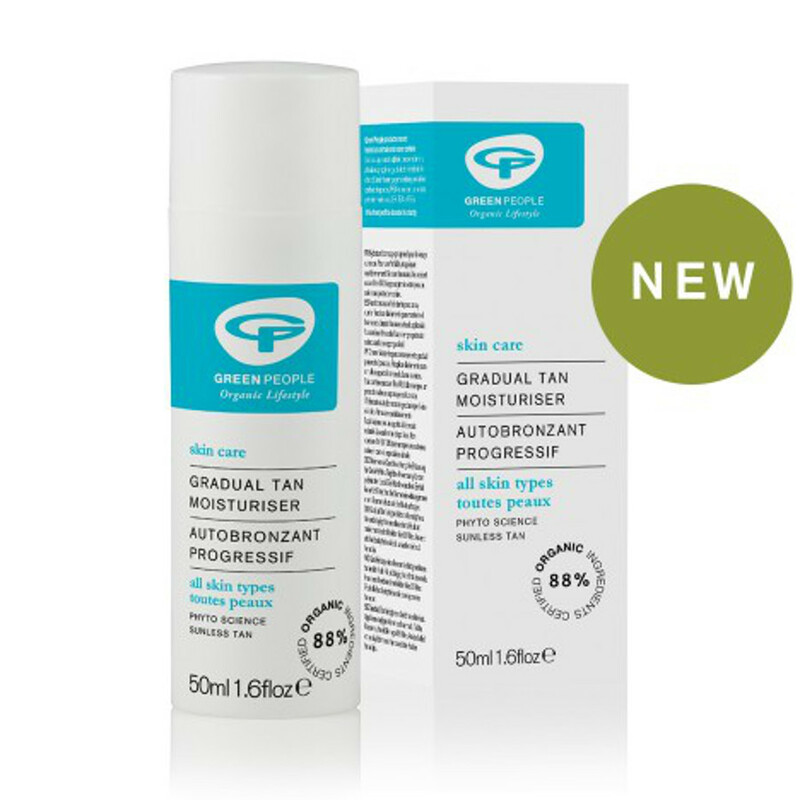 There are currently no questions to display about Green People Gradual Tan Moisturiser - 50ml.